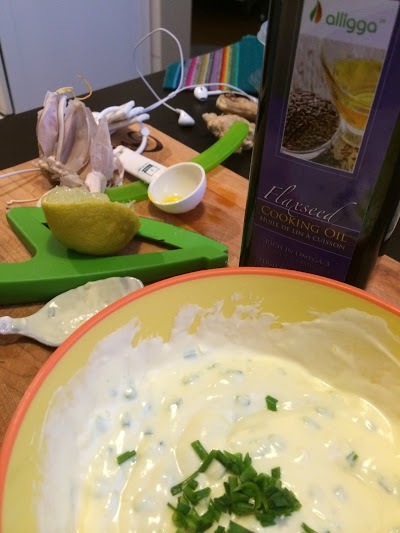 When thinking about how to make good use of Alligga’s Flaxseed Cooking oil, a thought popped into my head: how high is the smoke point* on this oil? Seeing as how the smoke point would determine how I will best use it, I sifted through my nutrition books determined to find my answer. 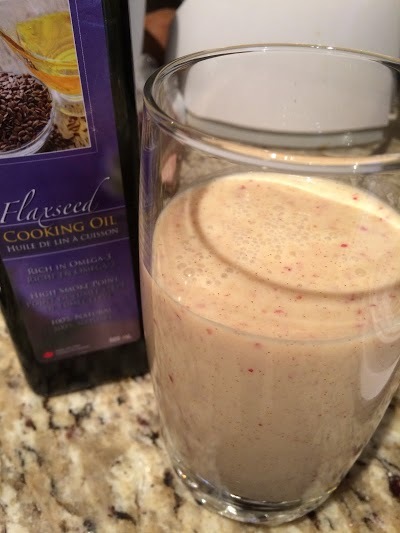 Flaxseed oil is one of the least stable oils out there when brought to heat, its smoking point is around the 225F mark. However, on the bottle it suggests I use this oil in high heat. Hmm. Labeled “one-of-a-kind flaxseed oil in North America. An innovative and 100% natural Flaxseed 0il full of Omega-3 that you CAN use in high heat cooking! Alligga” on their website, I’m still skeptical. So I didn’t use it for high heat cooking – which doesn’t mean I’m against the product itself, just not for cooking. With a rich, nutty flavour I chose to accept their second suggestion on the label: “use as a food topping/additive, salad dressing, dip, or directly as a supplement.” So, I made a dip! The taste was subtle, first wondering if I had used enough – I added another tablespoon making it three. 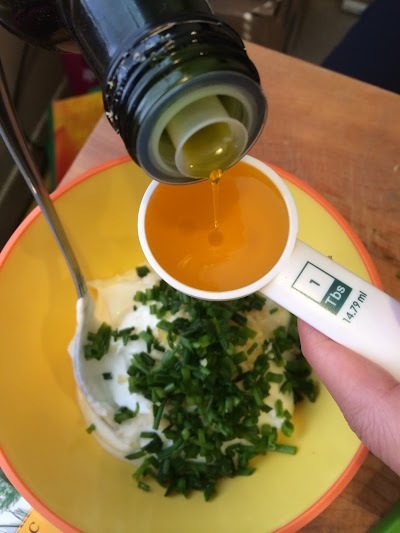 With a combination of greek yogurt and flaxseed oil, the consistency was nice and smooth. The flavor wasn’t overpowering and the texture wasn’t overly oily – which I liked. Everything blended together nicely. Combine all ingredients together. Serve with fresh veggies or, lets face it, chips. I added a drizzle of hot sauce, just ‘cause. Then I thought I’d make a smoothie, bringing that nutty flavour out to play with some fruit. In the smoothie, you barely noticed it’s presence. For kids, it’s a great way to get them to drink their omega-3’s. Overall, I found it to be a good addition to my kitchen – without their suggestion to use in high heat, sorry. I’m sure Alligga has done all they need to do to make this oil stable for high heat but, personally, I don’t feel comfortable using it that way. I’ll stick to a saturated fat like coconut oil for that sort of thing. *Smoke point is just that, the point an oil will start to smoke when gone beyond a certain temperature. Once the oil starts to smoke, it begins to release carcinogens and free radicals – things we want to avoid.